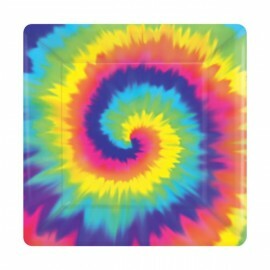 Beverage Napkins Tye Dye Feeling Groovy (25cm x 25cm) 2 Ply Pack of 16..
Dinner Plates Tye Dye Feeling Groovy Square (26cm) Paper Pack of 8.. 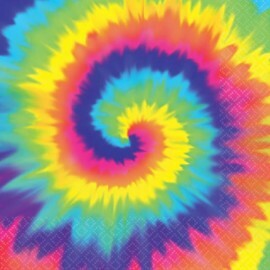 Lunch Napkins Tye Dye Feeling Groovy (32cm x 32cm) 2 Ply Pack of 16.. Lunch Plates Tye Dye Feeling Groovy Square (18cm) Paper Pack of 8..